We've found that the most efficient way to use Aisle Planner is to add your custom branded Aisle Planner login page to your mobile device's home screen so you can quickly and easily access your account. 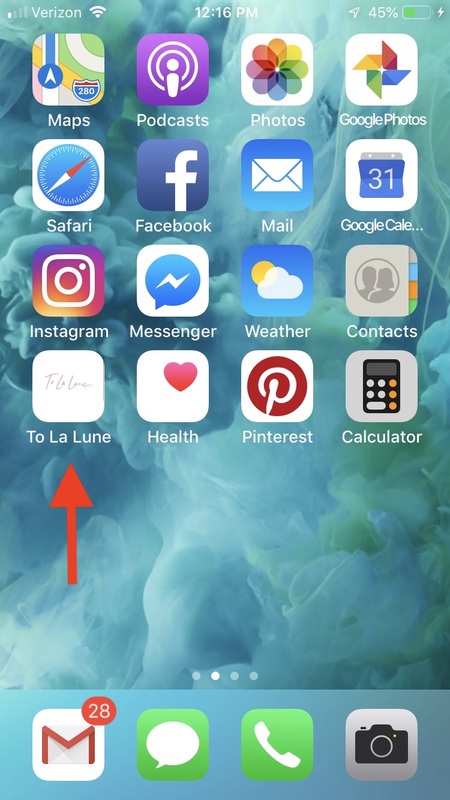 It only takes a minute (literally) to add your login page to your mobile device, and once added, Aisle Planner's web app will appear next to all of your other apps—and you'll be able to login to your account with just a quick tap! In the URL field, type in your custom branded login URL (which can be created / found in your account SETTINGS -->BRANDING) to navigate to your login page - no need to login! We also recommend saving your login & password to your keychain in safari and enabling login & password auto-fill, so you don't have to manually login each time you want to access your Aisle Planner account on mobile. For more tips and information on using Aisle Planner on Smartphone or Mobile Devices, click here. In the URL field, type in custom branded login URL (which can be created / found in your account SETTINGS -->BRANDING) to navigate to your login page - no need to login! Towards the top of your screen, click on the three dots to access your Menu. Tap on the "Add to Homescreen" option in the dropdown menu. We also recommend saving your login & password to Chrome and enabling login & password auto-fill, so you don't have to manually login each time you want to access your Aisle Planner account on mobile. Please note, the steps to adding Aisle Planner to your mobile device may vary depending on the specific make and model of your device. If the steps above don't do the trick, we recommend a quick google search to find information specific to your device.